Passion and joy for the bride and the groom, excitement for everyone. This is what you can expect from a wedding with many guests. 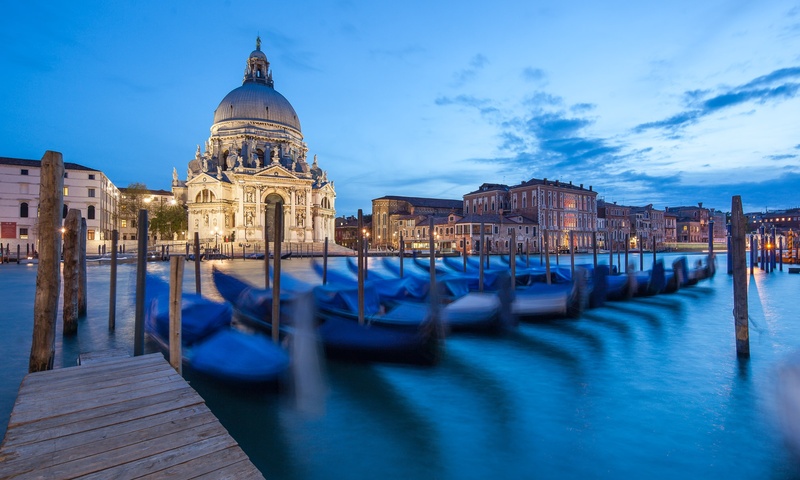 Some couples choose Venice as their destination of their wedding and make it a very intimate event, almost escaping (or postponing) the celebrations with relatives. Other couples really enjoy sharing the magic and excitement of this special day with their dear ones. This was the case of Matt and Sarah, a British-Italian couple that lately chose me as their wedding photographer. 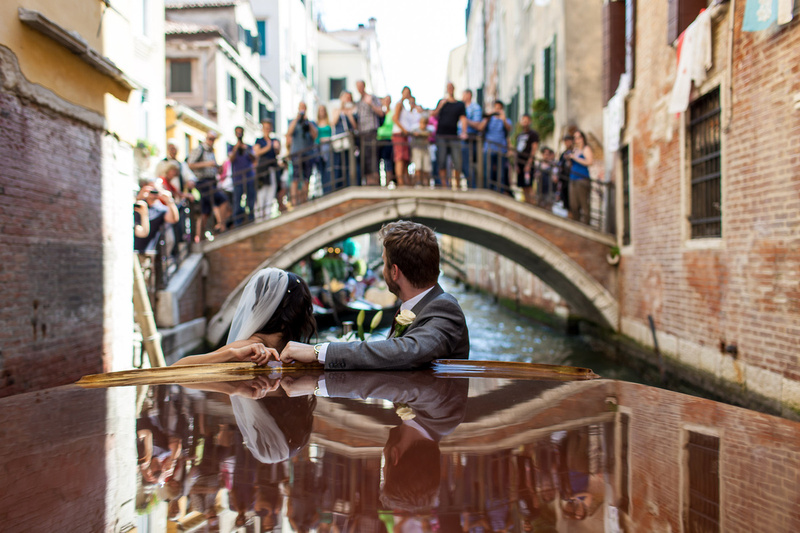 As a wedding and portrait photographer I often deal with couples, capturing their love against the wonderful backdrop of Venice. 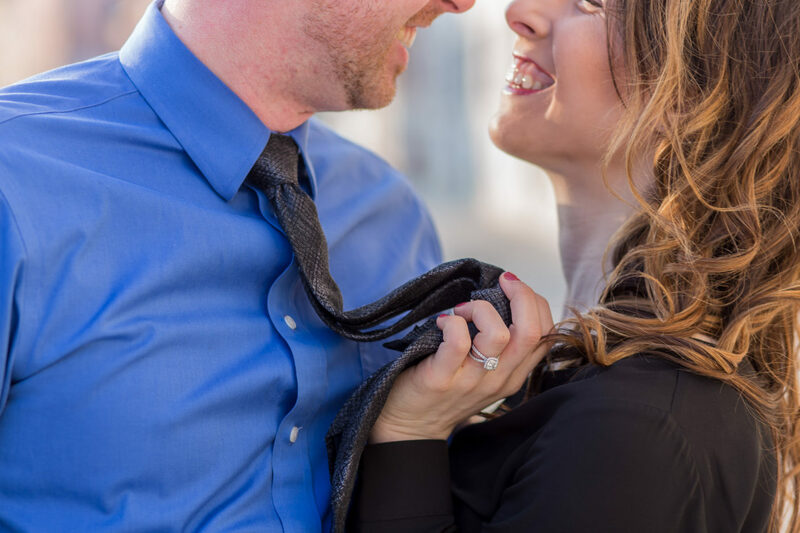 Since they are usually living a special experience in a joyful moment of their life, my couple photographs are usually as intimate and passionate as the couple they portray. 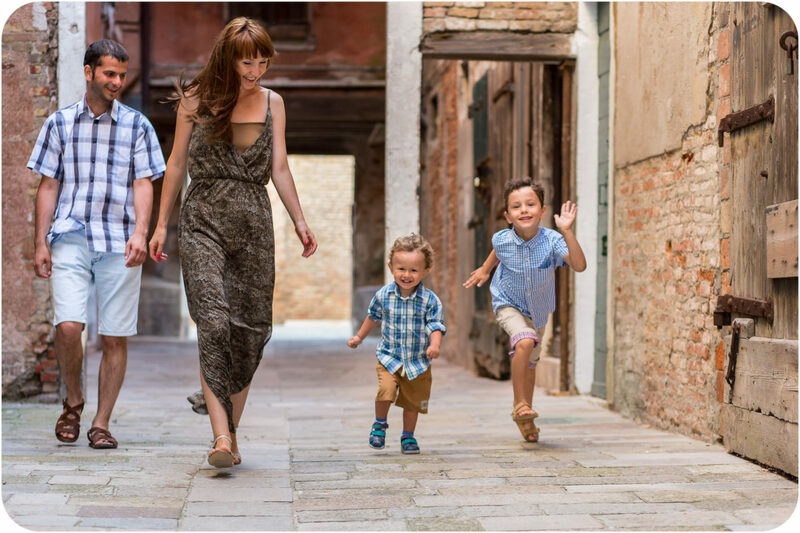 When a couple with 2 kids hired me for a photo walk in Venice, I first imagined that a different kind of photos would be the result of my work. But I was wrong.